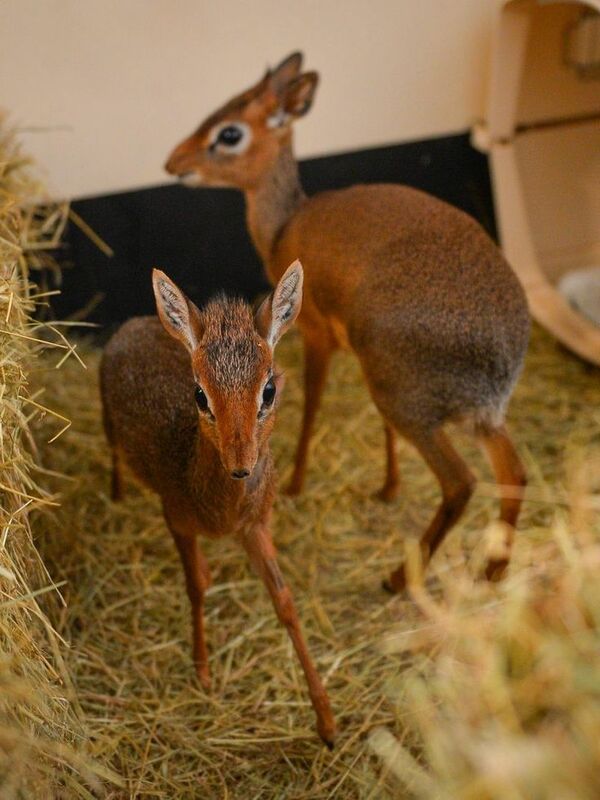 These are 2 dik-dik antelope. The bigger one is 8 month old Aluna, who was here first. And is now mothering the new comer who now is 8 inches(20 cm) tall. They are from Kenya,Africa.